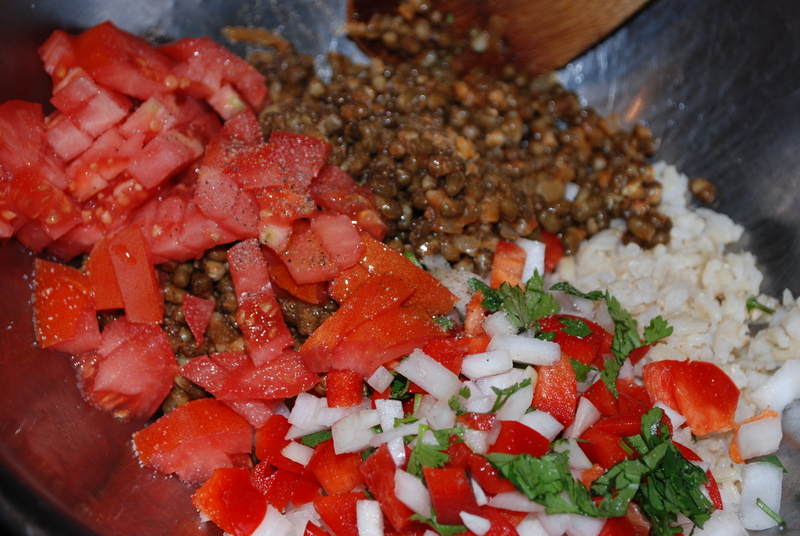 Bring clean lentils and water to a boil, reduce heat and simmer for 45 minutes. 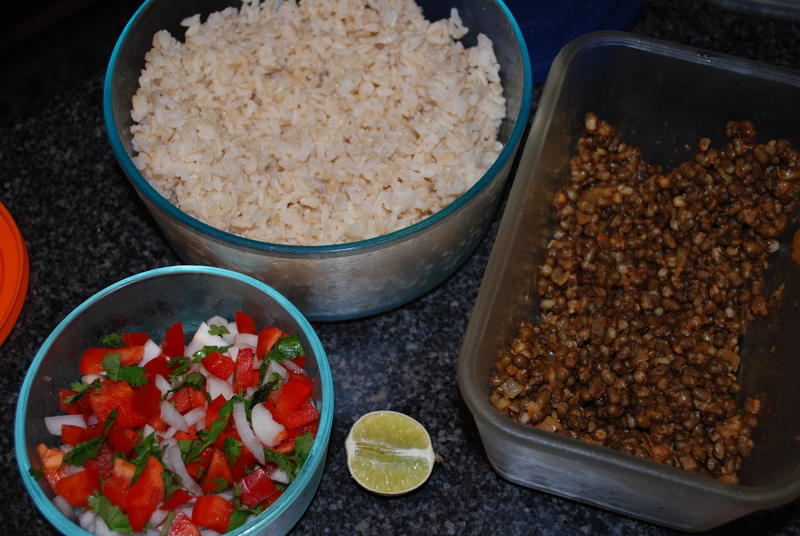 Meanwhile, prepare remaining ingredients and place in a bowl. 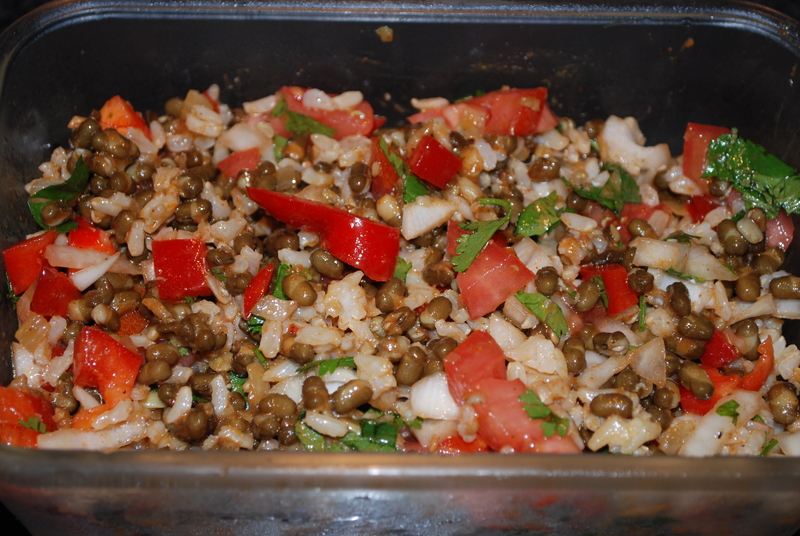 Strain and rinse lentils, add to the bowl with other ingredients and mash together to combine; I used a pastry knife but a fork or potato masher will work just fine. When well combined, set aside and let rest for 20 minutes. Prepare marinara sauce (recipe below) and pasta (gluten free as needed). Preheat oven to 375. Line a baking sheet with parchment paper. Scoop 2 Tablespoons of the lentil ball mixture and form into a ball. It will be sticky (if it’s ridiculously sticky add more oat flour) so it will need to be rolled and otherwise manipulated into a ball. Place on the prepared baking sheet. Bake sheet in the oven for 25 minutes. Top pasta with lentil balls and marinara sauce. 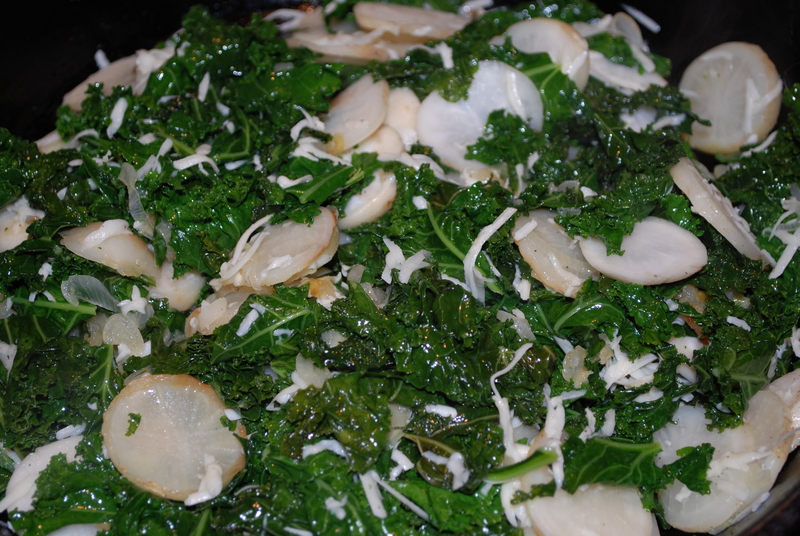 Top with grated cheese or nutritional yeast if desired. I recommend serving with a salad on the side. 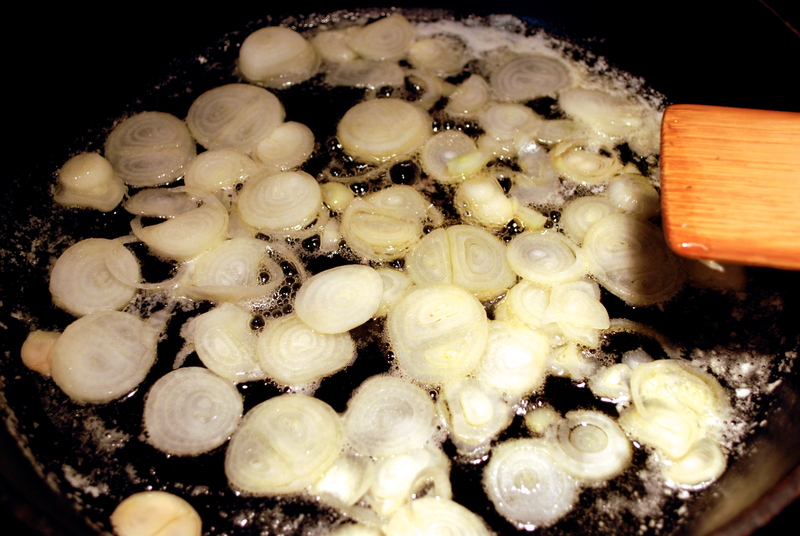 Preheat a wide bottomed stock pot over medium heat and chop the onions. 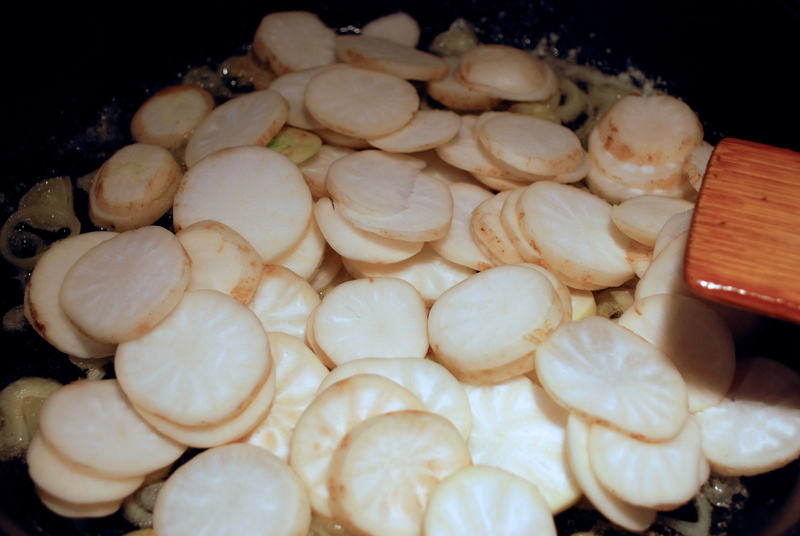 Add olive oil, onions and salt and saute under cover until tender, about 5 minutes. Add tomatoes to the sauted onions, put the cover on, bring to a boil, reduce heat, add herbs and spices and lightly simmer. This entry was posted in in the kitchen and tagged balls, gluten free, lentil, less, marinara sauce, meat, meatless, nutritional, pasta, recipe, vegetarian, yeast on February 26, 2016 by lenapietri. Bring 2 quarts water to boil for the pasta. 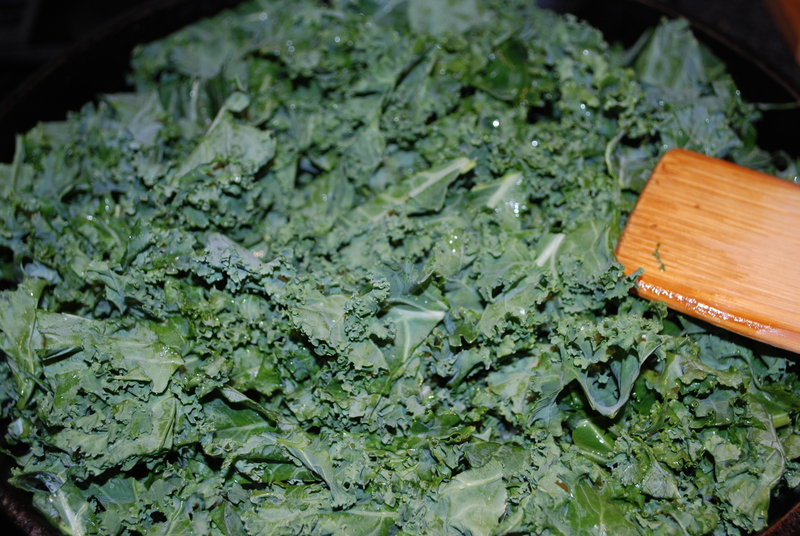 Meanwhile, prepare the vegetables and place in a large colander and set aside. Cook the pasta according to package directions. Prepare the purple pesto; place garlic and salt in a food processor and blend till finely minced. 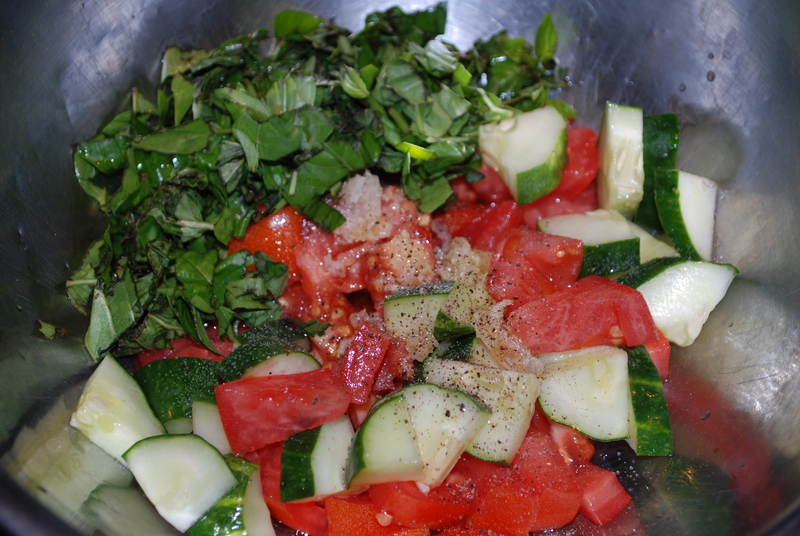 Scrape down sides and add pepper, olive oil and basil to the food processor and blend until basil is finely minced. Strain the pasta over the vegetables (this is a “quick steam” technique I picked up along the way of making hurried meals). 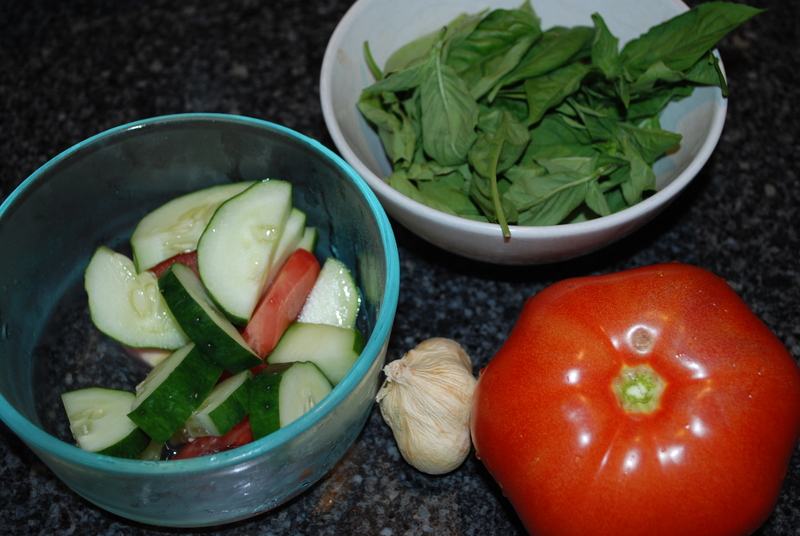 Pour the vegetables and pasta into a bowl, add the pesto and toss together. Add the cheese and mix or serve the cheese on the side. Eat warm or chill then serve. 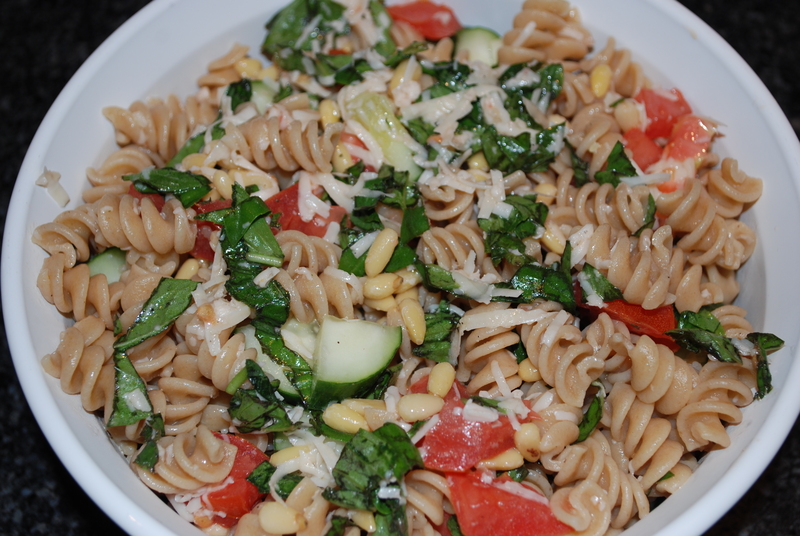 This entry was posted in in the kitchen and tagged basil, broccoli, easy, free, fresh, gluten, gluten free option, option, pasta, pesto, purple, quick, recipe, salad, tomato, vegan, vegetarian, wheat, whole on July 14, 2014 by lenapietri. **place frozen vegetables in a colander, pour cooked beans and hot water over the frozen vegetables, rinse with cold water, drain and place in a large serving bowl. 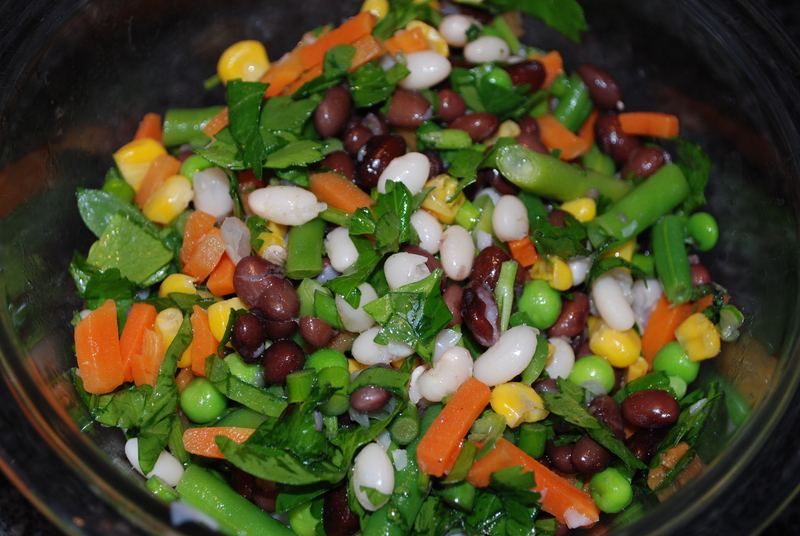 Place drained and rinsed beans and defrosted vegetables in a large bowl. 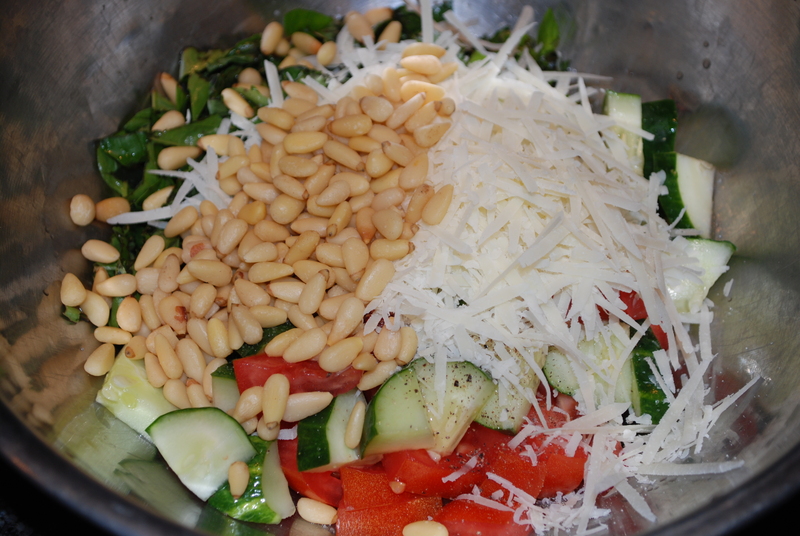 Add remaining ingredients and mix well to coat with the dressing. 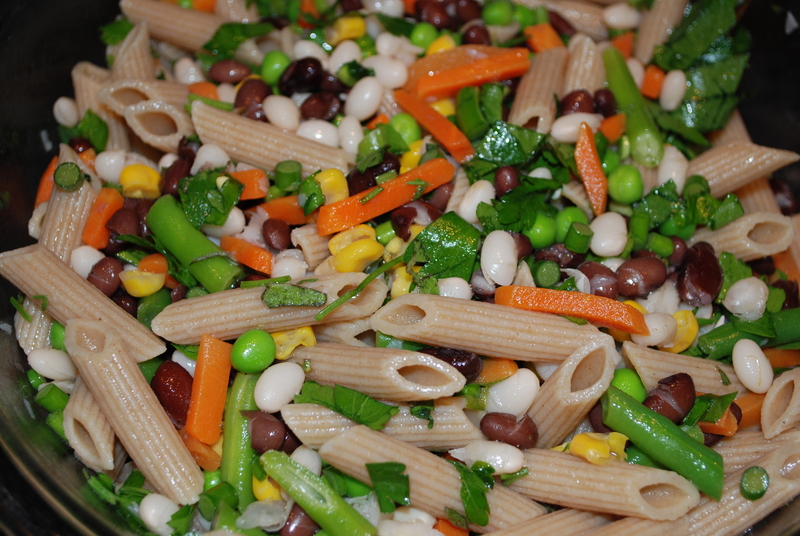 If you have a house hold like ours that is gluten sensitive and gluten friendly divide the bean salad and toss in the desired starch of making a pasta salad. This entry was posted in in the garden, in the kitchen and tagged easy, fresh, garlic, gluten free, herbs, option, pasta, quick, recipe, salad, scapes, vegan, vegetarian on June 24, 2014 by lenapietri. 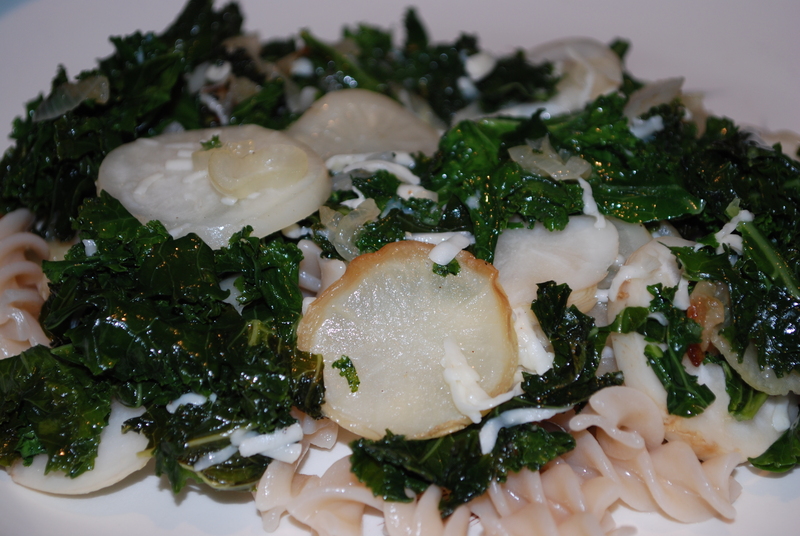 The slowly sautéd vegetables are surprisingly sweet and the tangy salt from the cheese is a nice compliment. 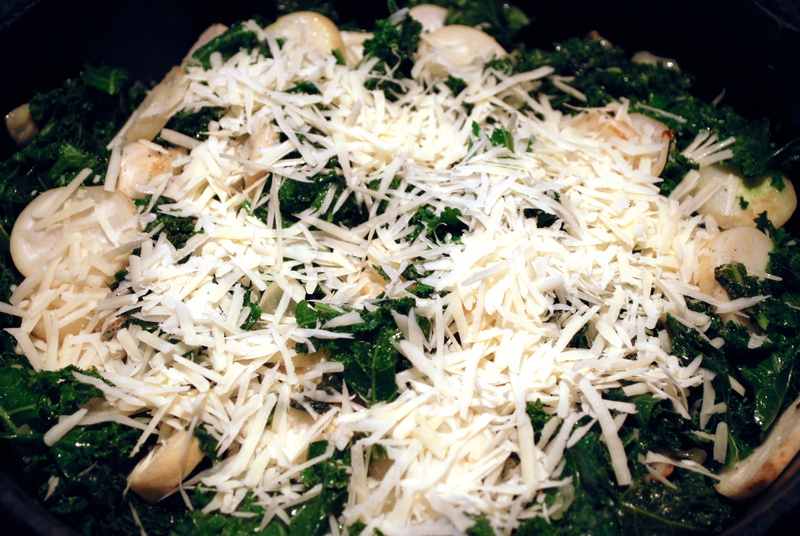 To make this as a vegan dish eliminate the butter and cheese and increase the salt by 1/8-1/4 teaspoon. Put water on for pasta. Melt butter and olive oil together in a large skillet or wide bottom stock pot over medium heat. 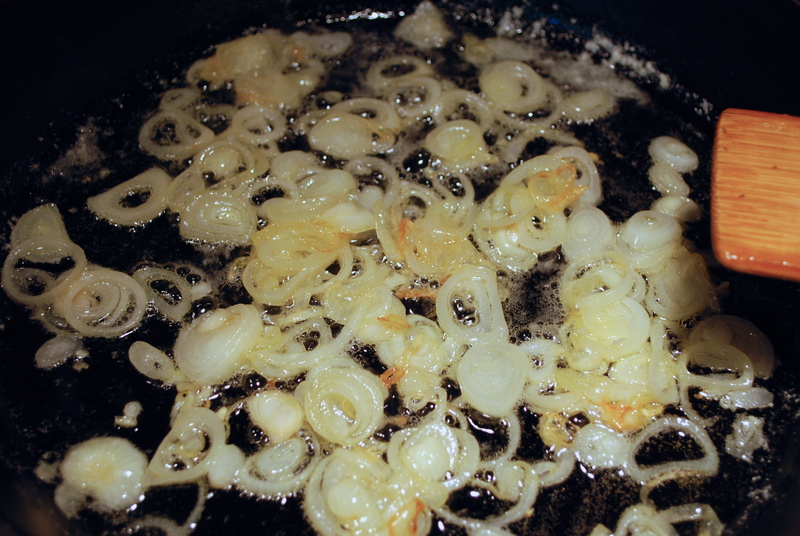 Add shallots, stirring occasionally and sauté until golden, about 10 minutes. 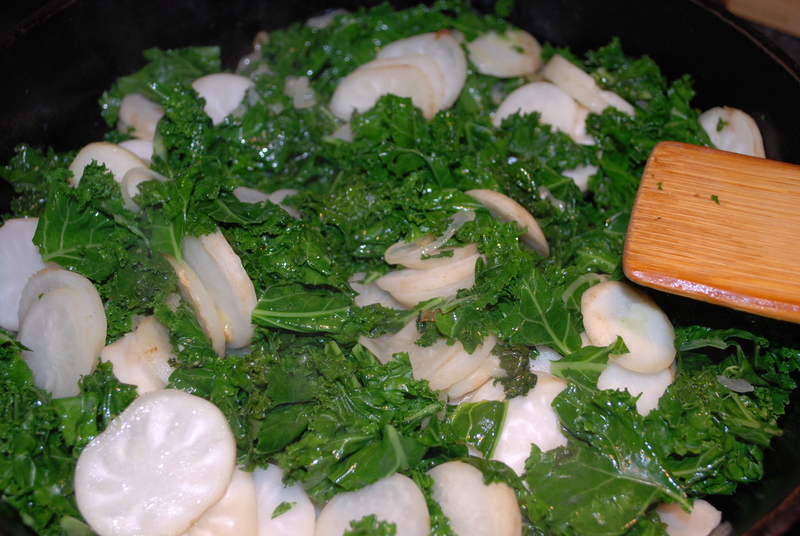 Add turnips and kale and cover, stirring occasionally for 10 minutes. Reduce heat to low and leave covered. Finish with salt, pepper and cheese stir and serve over pasta. 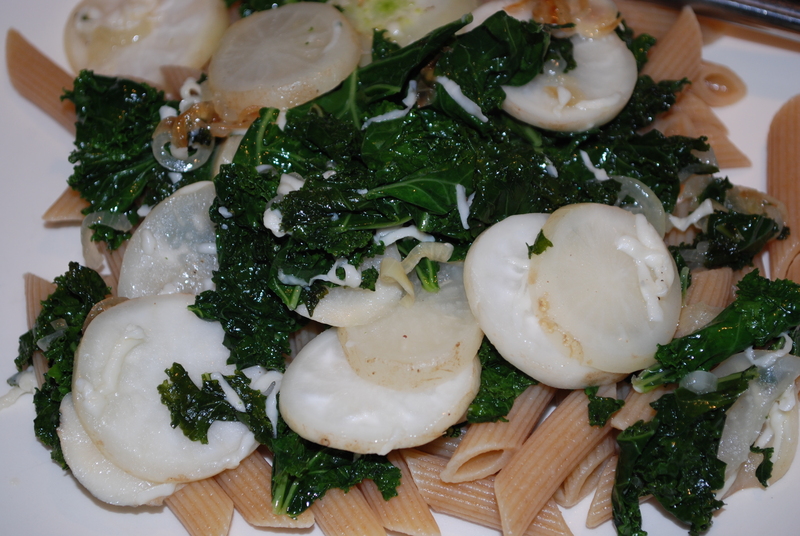 This entry was posted in in the kitchen and tagged gluten free, kale, option, pasta, salad turnips, shallots, vegan, vegetarian, whole wheat pasta on September 9, 2013 by lenapietri.